Derek Dufresne, and Jamie Winn. 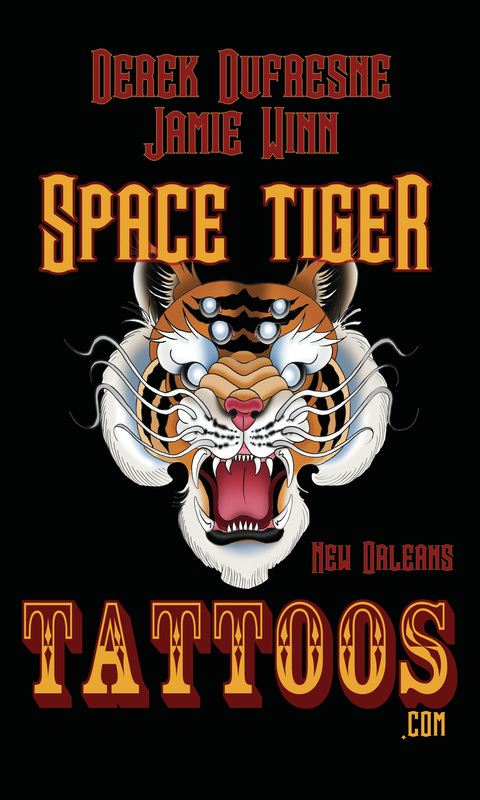 Internationally Published and Award Winning Tattoo Artists based in New Orleans. We are a private studio and work by appointments only. Collaborative Tattoo by Jamie and Derek. ​ In progress Space Tiger!